Over the last 30 years Chris Ann has proven her dedication to the Griset Branch and the Boys & Girls Clubs in general. Chris Ann embodies the BGC movement in everything she does and is a role model for not only her members but her staff. She has made it her life calling to help the club have a positive impact on all members who step inside. Chris Ann is an experienced mentor who demonstrates her own good character and citizenship. She makes a safe & fun learning environment for members of all ages. 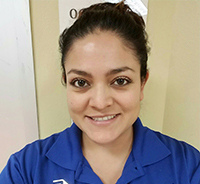 Growing up as a club kid Chris Ann has firsthand experience as to what our members need and she makes sure to find a way to give them what is needed. Her dedication is like no other in the clubs. Vee is has shown over the last 4 and ½ years that she is an ambassador of our organization. She is constantly is setting a great example for our members and is an excellent role model. Vee is a team player who is never too busy to help a fellow team player when in need. Vee wears a few different hats for the organization and is able to adapt and switch between the two quickly making a smooth transition. She is dedicated to her clubhouse, parents, and her staff who rely on her daily. She always goes above and beyond for everyone and takes pride in the work she does. Over the last 7 years Macon has proven that dedication and loyalty are two of her strongest assets. 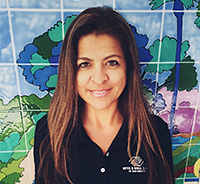 She is one of the few people that connects the different programs within aquatics and is the “go to person” when everyone needs help or assistance . Macon is the ultimate teammate and creates cohesion across the various programs. Macon does her job with a kindness, smile and a laughter that is contagious. Macon takes time out of her day to greet customers and create a connection with them. This is only one of the few ways that she demonstrates excellent customer service to all who come through aquatics. 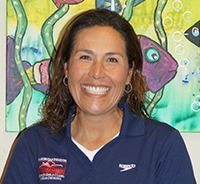 Over the last 6 years Patty has become a great ambassador of our organization due mainly to her vast knowledge, positive attitude, and passion she shows for the aquatics department and the organization as a whole. She always greets customers with a smile and positive attitude. She takes it upon herself to take new lifeguards under her wings and teaches by example. Patty always greets patients with a smile and a positive attitude. She is dedicated to providing a positive experience for all patrons and goes out of her way to provide this. 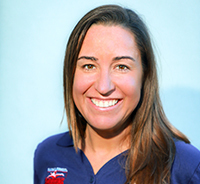 She is patient and has used her knowledge and skills to help members of all abilities reach their full potential as a swimmer. You can tell by watching that everyone loves Ms. Patty and Ms. Patty loves her job.